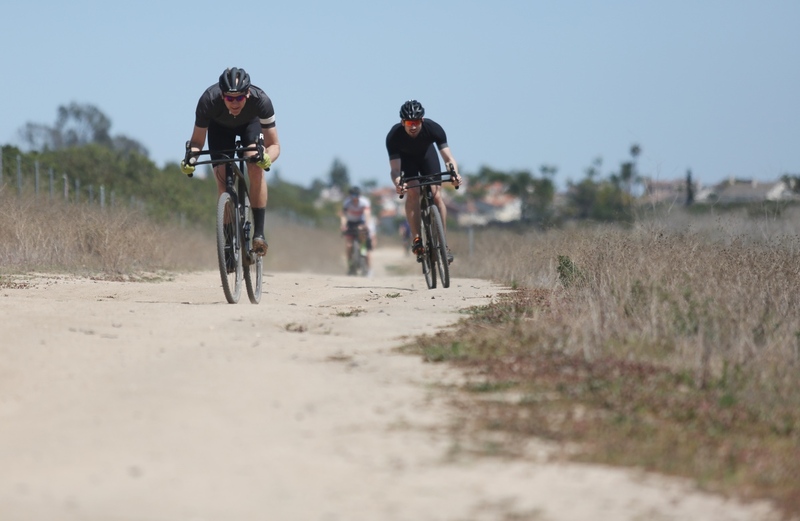 Normally we don’t publish reviews on bikes we’ve only ridden twice. 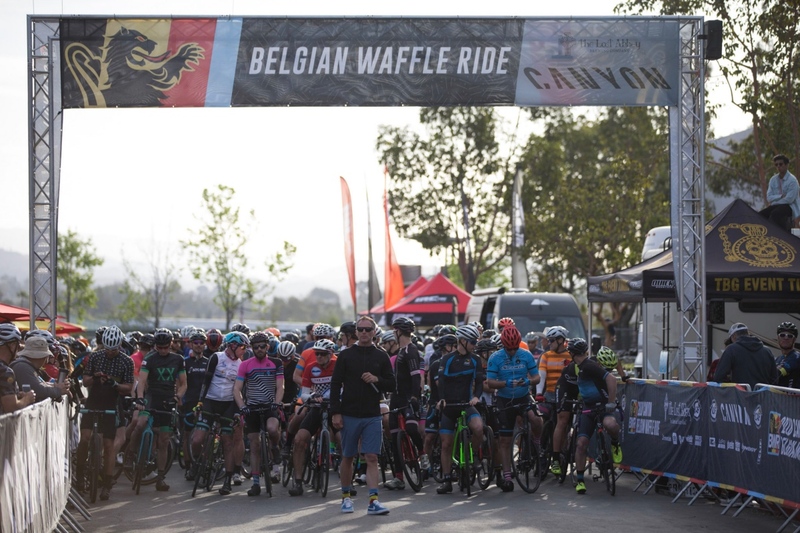 But when one of those rides is a 134-mile, 10-hour slog with 10,600 feet of climbing (better known as the Belgian Waffle Ride) you get to know pros and cons pretty intimately. And thus we feel quite comfortable sharing our thoughts on Canyon’s unique (and polarizing) Grail gravel/adventure bike. But first a little background for anyone who missed this bike’s debut a few months back, starting with a video. It’s a safe bet that the first thing you noticed are the bike’s double decker handlebars, which Germany-based Canyon calls the Hover Bar. Besides catching eyes, its purpose is to offer more compliance when you’re in the tops, but a stiffer interface down in the drops. The upper flex area is designed to exploit carbon’s elastic properties and gently deflect and absorb road/trail chatter and vibration. 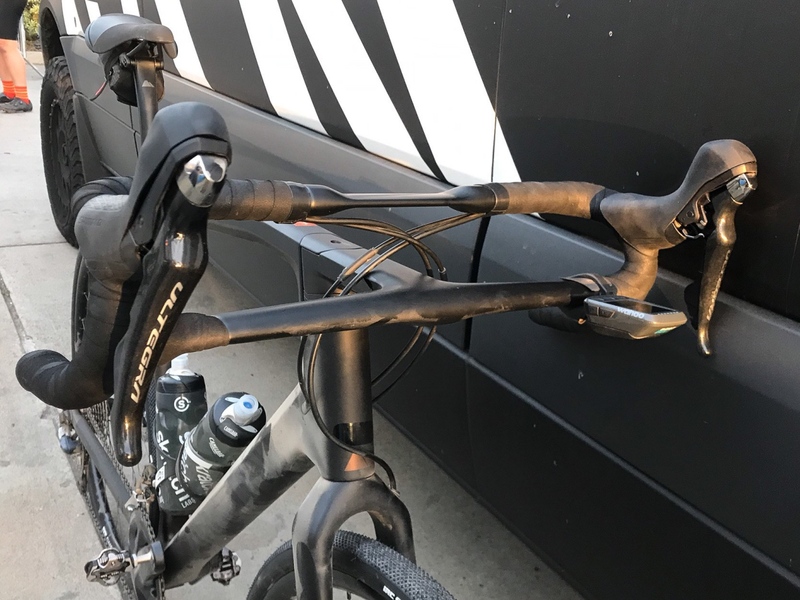 Indeed, Canyon claims by not having a stem clamped to the middle of this bar, it delivers seven times more vertical compliance than a conventional carbon bar (say that which is spec’d on the Endurace, Canyon’s endurance road bike). Down below, where the stem is attached to a lower bar that attaches to the inside of the drops, the bars are far stiffer. Capable both on and off-road, the Canyon Grail is one of the most interesting bikes launched in 2018. 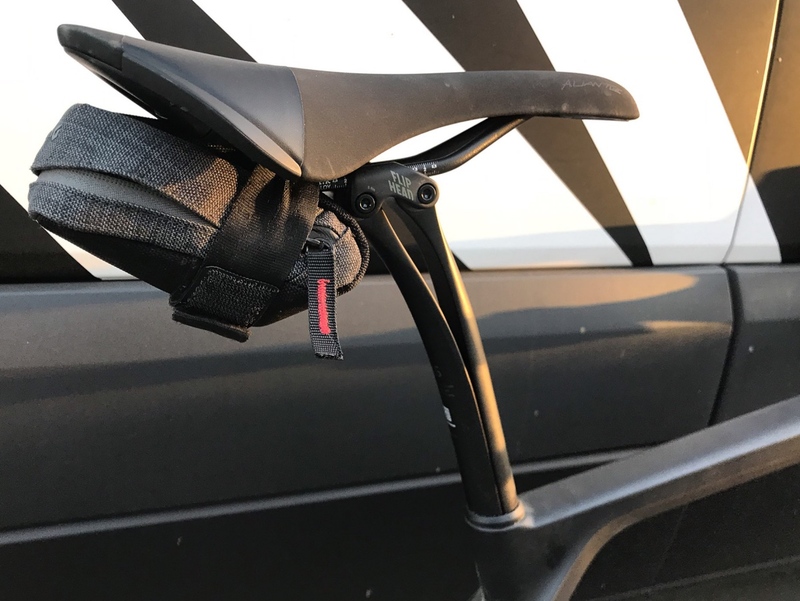 Canyon claims the Hover Bar adds just 128g of extra weight, which is fairly negligible on a bike that’s geared more toward the road less traveled rather than contesting paved Strava KoM climbing segments. The Hover Bar also has 15mm of height adjustment and delivers a host of new hand positions (and takes at least one away). Most notable is when you are in the drops. Instead of the traditional hand-fully-wrapped-around-the-bar position, your thumb can wrap around the lower cross-bar section for a more secure grip. The top view is certainly unique, but you can also see the myriad additional hand positions. This offers a tad more overall security so long as your hands are big enough. I have what you’d call very average sized hands (a size L glove fits fine) and I could just get my thumb comfortably up and around the cross bar to achieve the locked-in position. That said, I did need to decrease brake lever reach a touch since my hands were a touch further back from the lever than on a normal set-up. It also must be pointed out that with the Hover Bar, there is no “normal” hands-in-drops position if you also want to have access to your brake levers. It’s wrap your thumbs or nothing. The flex seatpost is arguably the most important component when it comes to soaking up road buzz. Other features of the bar include a compact bend, and subtle 7.5-degree flare and ergonomic D-shape at the bottom of the drops, all of which are aimed at increasing comfort and stability when in the drops. This is further aided by the short effective stem length and wider bar width (44cm on a size L), which as any mountain biker knows, makes tackling technical terrain less of a challenge. The comfort story doesn’t stop there. 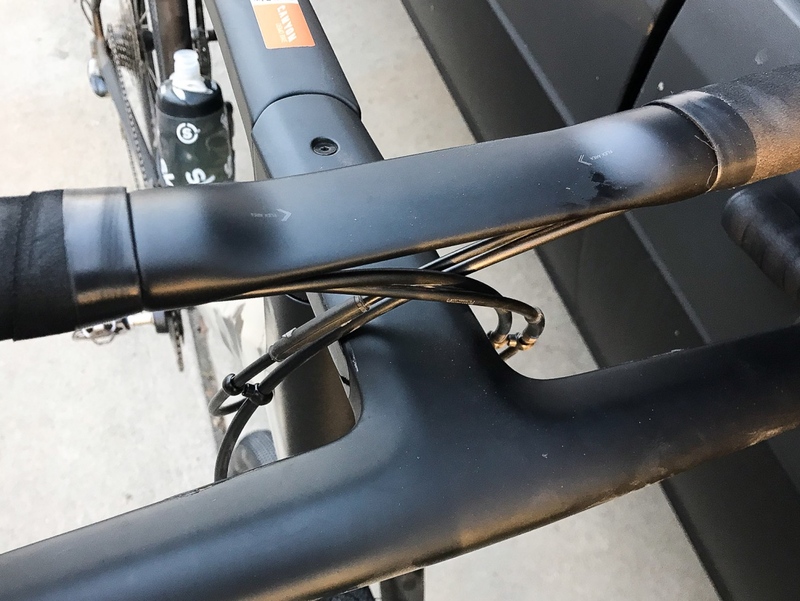 Most (but not all) Grail models come with Canyon’s VCLS 2.0 seatpost, which utilizes a leaf spring design to create yet another flex point to help dampen road buzz while keeping saddle tilt constant. The Grail also has an extended wheelbase for additional stability (1040mm size L, which is 40mm longer than the same size Endurance). And all Grail models come spec’d with 40mm Schwalbe G-One tires mated with a minimum 22mm internal width tubeless-ready rim. That allows for lower tire pressure for improved traction. And you can run up to a 42mm tire if you want to go even wider. Max tire clearance is 42mm. 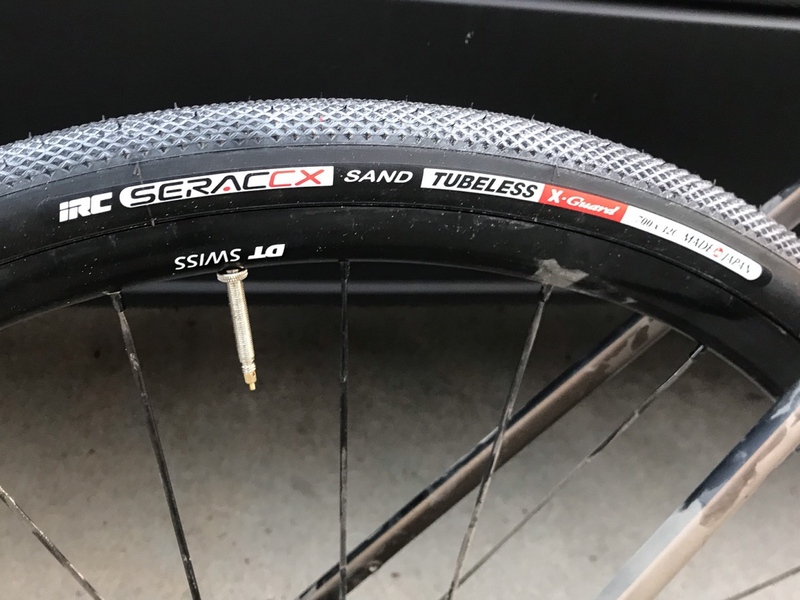 Shown here is a tubeless 32mm IRC Serac CX Sand, which worked well on the mixed surfaces encountered at the Belgian Waffle Ride. With all this focus on comfort, you might expect the bike to be a tad portly. 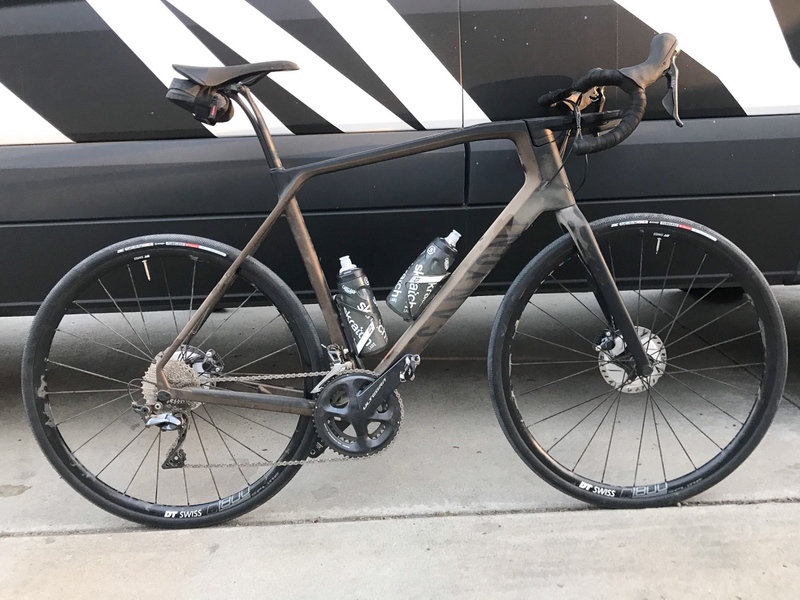 But Canyon has done its best to keep the Grail’s frame weight in check, claiming that a size medium top-of-the-line CF SLX model comes in at wispy 830 grams. The same size SL frame (which is what we rode) has a claimed weight of 1040 grams. 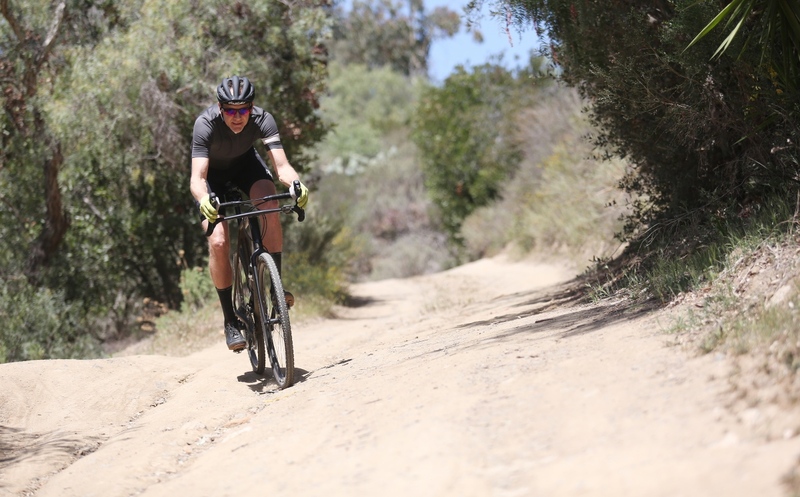 Uphill ability is further enhanced by a 2x Shimano drivetrain with 1:1 gear ratios (50/34 and 11-34 ) that provides the range needed to spin up even super steep loose terrain. 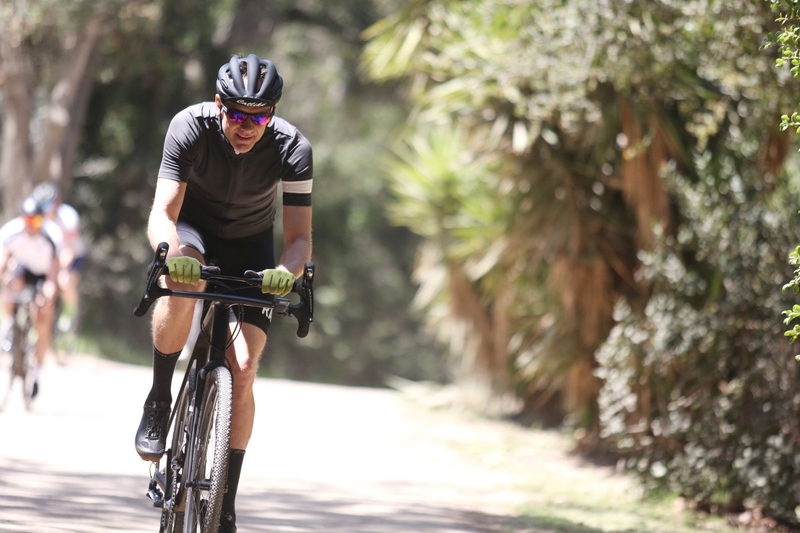 Finally, for riders looking to get truly off-grid, Canyon partnered with Topeak to create a lightweight bikepacking pack setup, and the bike has fender mounts and a well-executed integrated chainstay protector. 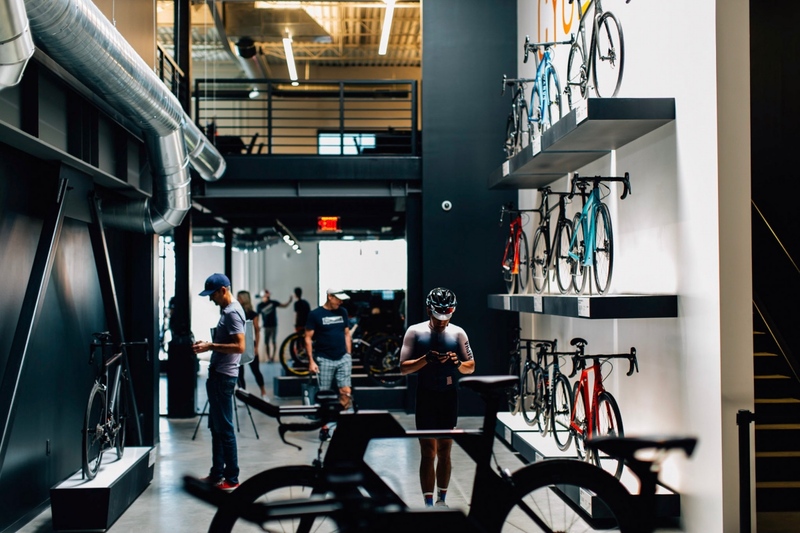 The Grail comes in seven frame sizes, and in the U.S. there are six models available for consumer direct purchase (4 men’s, 2 women’s), or you can buy the lightweight CF SLX frame/fork/seatpost for $2499. The most expensive build is the Grail CF SLX 8.0 with Shimano Ultegra Di2 for $4899. 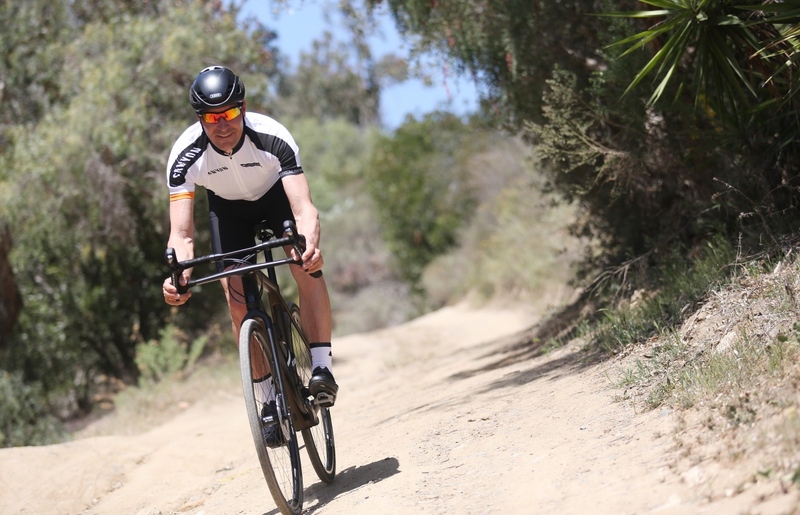 RoadBikeReview tested the more moderately priced (and slightly heavier) CF SL 8.0, which has a mechanical Ultegra drivetrain and aluminum DT Swiss wheels. Price is $2899, though it must be noted that for our test rides Canyon swapped on the VCLS 2.0 post, which is not normal spec on that particular model. One’s ultimate opinion of the Grail will likely come down to how you feel about the Hover Bar. I kind of like it – and thus like this bike. While not perfect, the Grail is a unique take on the burgeoning gravel niche, which is refreshing in a time when copycatting seems to be the industry innovation of choice. Canyon has walked way out on a limb with this bike and deserves praise for their willingness to take a real risk. Device attachment was a little wonky on this day, but Canyon does have a mount that interfaces with its Hover Bar. But boldness alone is not reason enough for you to spend several thousand dollars. Instead, I advise anyone looking to dabble their toes in gravel, but also looking for a bike that is snappy and responsive on pavement to give the Grail a long look. It’s very comfortable thanks to the compliant bars, flex seatpost, and tubeless tire set-up. 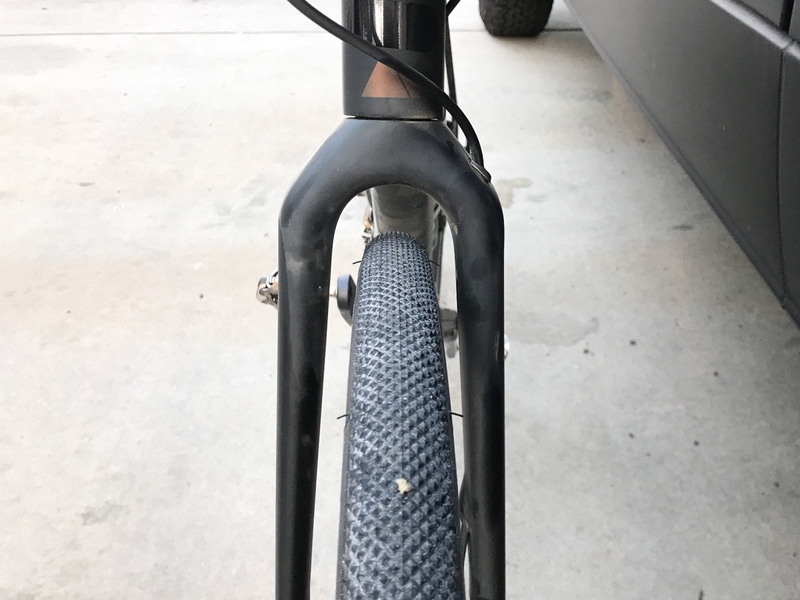 But it also handles surprisingly well on pavement, its relatively steep 72.5-degree headtube angle allowing it to dive in and out of corners with race car ease. When pavement gives way to bumpy dirt, the tops hand position is a great place to be as long as you don’t need quick access to your brakes. 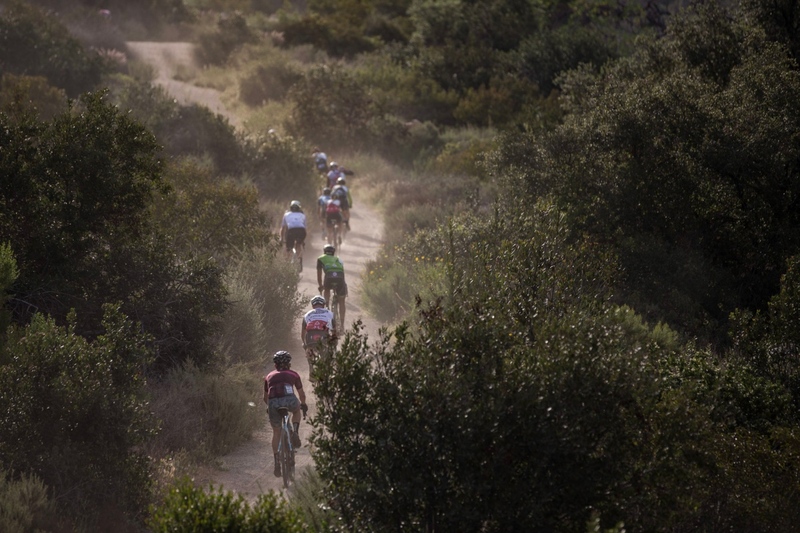 And if you’re navigating chunky trail, the flared (and very stiff) drops and short stem avail extra confidence you simply won’t get on normal road bike. 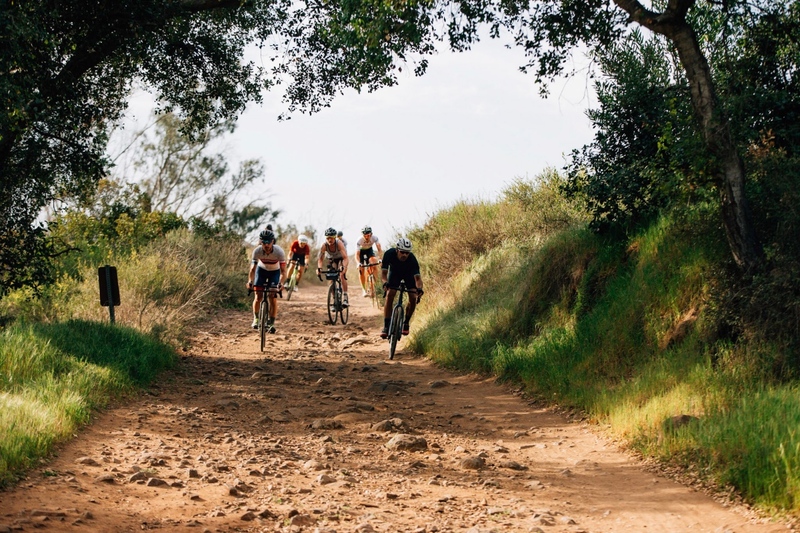 Throw in the stock tubeless tire set-up, spinnable 1:1 gear ration, and optional bikepacking set-up and you have a bike that’s ready for host of different riding adventures. And as usual, Canyon delivers all this performance at a highly attractive price point. Max tire clearance is 42mm. Shown here is a tubeless IRC Serac CX Sand, which worked well on the mixed surfaces encountered at the Belgium Waffle Ride. IRC’s Serac CX Sand was a good match for the Belgium Waffle Ride, which is primary a road event with occasional rough terrain mixed in. I’ve been riding a Grail SL 8.0 and love it. One note I wanted to share with others is that these bikes run big and sizing will be different. Don’t be surprised if have to go one size smaller than your usual bike size. I’ve ridden a Medium (55cm) my entire cycling life and online chart and sizing tool matched me with a Small. These bikes also don’t list traditional top tube measurements, so you’ll have trust their fit guide. That said, I went with the small and can vouch that it fits more like a medium, so their sizing chart was on point.